Do you know what happens when a Pomeranian breeds with a Siberian-Husky? It results in a new breed of extremely cute little dogs, known as the “Pomsky” that stay this size for life. The puppy bears genetic references to both parents, although, one strain dominates over the other, as in most cases. On surveying an image that went viral on numerous social networking websites, you will see that the Pomsky is as tiny as the Pomeranian Husky, but borrows its fur-coat from the Husky. A curved tail is a common feature connecting both breeds. Hence, all puppies are known to bear this reference.The Husky’s double fun-coat helps it withstand freezing temperatures. Both the Husky and Pomeranian share ancestry with Arctic breeds. The Pomsky is a fairly recent breed that finds precedence as a “designer dog.” It is a miniature version of the Husky and can spend almost its entire life as a “lap dog.” We know that Husky pups are cute, but so are Pomeranians. Hence, if a Pomsky leans on to its Pomeranian genes, it ends up being equally attractive. Dog breeds do not cease to emerge, improve, and develop. Recently, a new race has been brought to life: the hybrid designer named Pomeranian Husky. 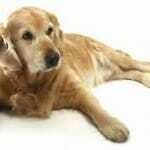 It is increasingly gaining popularity and becoming one of the best companion pets. They are designer breed dogs, that is to say, they were bred to bring into life pets with definite and precise characteristics for dog owners. The Pomeranian or Pomsky is the newborn mixed or designer dog breed. Although it hasn’t been so long since its appearance, the breed never ceased attracting people’s attention and perpetually gaining popularity. This dog is the outcome of mixing Pomeranian dog with a Siberian Husky dog. Conspicuously, the dog perfectly encompasses the traits of the original dogs. At times, however, the dog may inherit the appearance, as well as the traits of only one parent. The overall physicality of the dog is a mixture- as mentioned before- of his parents, the Pomeranian and Siberian Husky breeds. In its outward appearance, it is much like the Siberian Husky, inheriting the soft and silky-like coat of the Siberian Husky. The general coat types are fluffy, soft, wavy, and double. 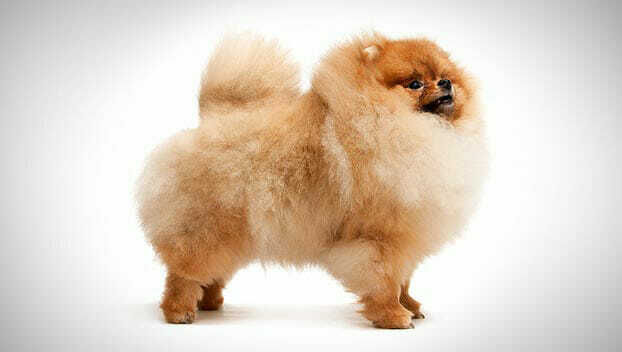 Its size, on the other hand, is the heritage of its Pomeranian parent. As the archetype of this breed is designed, the tail is of a curved shape. The dogs do not have similarly unifying characteristics, but rather, they differ at many levels. For example, the dog’s coat appearance varies from one dog to another. Moreover, the color may either be one singular color, or a mixture of many colors. They eyes’ colors also vary. This difference is due to the genetic factor, as genes are the decisive element. The highest gene percentage the dog gets from one of the parents would make it resemble either its Siberian Husky or Pomeranian parent. In simpler and overgeneralized terms, the Husky Pomeranian dog has the look of the Siberian Husky dog and the size of a Pomeranian. Moreover, the dog’s lifespan ranges from 13 to 15 years. For the time being, there still isn’t a standardized size and weight of a Pomsky. With some observations, however, we can conclude that when fully grown, the Pomeranian Husky would have the total weight of bot hits parents overall weight. At best, the dog’s height is 10 to 15 inches tall,and its weight is 15 to 30 lbs or 20 to 30 pounds. The dominant genes of one parent are what determines its size. For example, if it has equally 50% of each parent, then it is more likely that the dog grows large-size. 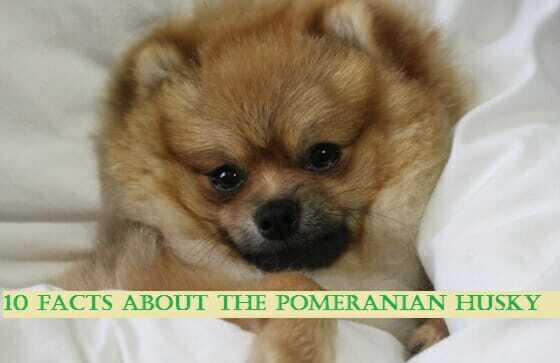 On the other hand, if it is 75% Pomeranian, it would be a small dog of 15 pounds. Briefly, the dog’s height and weight is dependent upon the balance/ imbalance of the genes’ percentage. All dogs have a thick fluffy double hair coat, and the Pomeranian Husky is no exception. The coat comes in different colors, including red, spotted, brown, merle, white, brindle, black, tan, orange, cream, blue, sable, and many different colors combinations. Similar to the previous characteristics, the combination of the parents’ genes decides upon the dog’s temperament. The traits of both parents build the personality of the dog. More often than not, the dog embraces the advantageous characteristics of a Pomeranian and a Siberian Husky, ending up being a playful, dynamic,intelligent and even a mischievous dog. It is vital that you be fully aware of the fact that this dog has a very unpredictable temperament. For this reason, he does need mental stimulation; otherwise, he will grow destructive. However obvious it is, some dog owners fail to keep in mind that puppies need daily attention and exercise. Being not exposed to enough training and exercise, the dog may grow with destructive and random behavior. High-pitched barking is another characteristic of this dog. 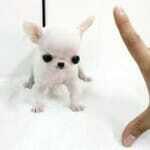 It is a token of love, affection, and protection towards his owner. If the environment in which you live does not approve of deafening barking, you do need to train him to lower his barking sound. As all mix dog breeds, Husky Pomeranian dogs are intelligent. However, this does not- by any chance- entail that training this breed is one of the easiest missions ever. Due to the Pomeranian legacy, the dog- in many instances- reveals the ‘Small Dog Syndrom,’ resulting in an incredible stubbornness. The symptoms include reckless behavior, disobeying commands, growling at people and other dogs, jumping up on owners, and reluctance to move off beds and sofas. The dog considers himself the head of your household and turns to be rowdy-dowdy. It may appear hard to deal with, but you can alleviate this behavior with some disciplinary training. No matter how bad the situation is, you should never inflict aggression upon your dog; it will only aggravate hisstubbornness and lead him into avoiding you. The Pomeranian Husky dog is best appropriate for families that have older children. The dog develops a double-layer coat. The coat would either have the Siberian Husky’s sleek and smooth coat or as fluffy as the Pomeranian’s. Though it may appear a tiresome job, it is not that hard to do. In fact, contrary to other dog breeds, this one does not develop long coat hairs and has less hassle when it comes to grooming, which facilitates the grooming task. Thoroughly and neatly brush the coat daily in order to remove tangles and dead hair. The dog needs to be bathed once or twice a month. All you need is clean water and safe doggie shampoo. The dog’s nails generally grow sharp if you don’t pay them attention. Filing the nails is essential to deter any infections and harmful accidents, to safeguard your well-being as well as his. One of the good and comforting merits of the Pomeranian Husky dog is his ability to adapt to any home environment. Either your home is a small apartment or house with a backyard, be sure that your dog will find his way through and perfectly fit in. The dog is both, indoor and outdoor pet. Concerning weather and climate conditions, cold weather best suits this dog and he really enjoys it, as he has a double coat courtesy which he inherited from his Siberian Husky parent. In warm or hot weather, the dog may be uncomfortable,and you need to cool him down. To do so, find a suitable area with proper temperature, or simply opt for air conditioning. No matter how your home environment is, you need to train him enough to assure his well-being and fitness. The lack of exercise would result in inappropriate behavior. Backyards are a right place in which you can train your dog. If you don’t have a yard, daily walks are equally helpful and essential. Pomeranian Husky puppies generally cost from $1000 to $3000 per puppy. 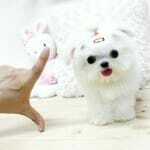 The price is still high, for this dog is not yet excessively demanded and asked for. This is due to the fact that the breed is still a new one, and is not widely discovered. Currently, there is a stable, but significant growth of the dog’s popularity, as people are starting to acknowledge the breed. The price would certainly decrease as soon as the demands begin to rise. Be very cautious of teacup Pomeranian. 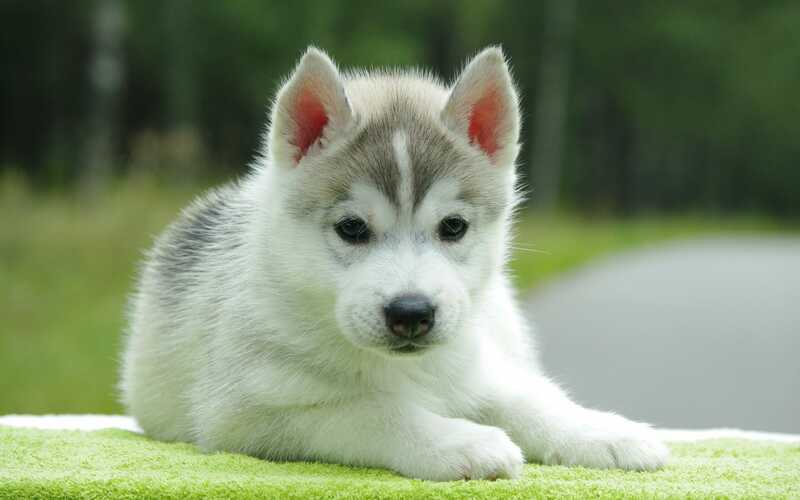 Husky puppies are sold at too low a price, ranging from $300 to $500. Don’t let yourself be driven by its alluring low cost, for it is more likely to be of inferior quality. It is also probable that it is sent from a puppy mill. Puppy mills are large-scale commercial dog breeding operations that aim at effectively producing puppies within a brief amount of time, all in complying with the general demands concerning the breeds. What raises a problem here is the fact that they don’t look after the health of the puppy and regardless of genetic quality, ultimately resulting in grave health issues. Among the illnesses that catch puppy mills dog are epilepsy, heart disease, kidney disease, deafness, endocrine disorder (diabetes, hyperthyroidism),eye problems, chronic diarrhea, a blood disorder, and respiratory disorder. This is due to them caring much about profit than the dog’s well-being. Puppies are not even being trained; they are kept in cages instead. When buying a puppy;therefore, make sure to have an entire record of the process and treatments the dog underwent. However, you should be utterly cautious because these documents are often fake. The food you give your dog should be of good quality; otherwise, it may damage your dog’s health. The kibbles you choose for your dog should be rich in protein and low in carbohydrates. With exercise premium-quality, the kibbles would correctly manage your dog’s weight, rendering the most convenient. Onions, grape, and chocolate should not be given to your Pomeranian Husky. They might endanger his health, and some of them can be lethal. Your meat treat should not contain soy and wheat since they are nothing but mere fillers. Fresh fruits are also suitable for your dog. He certainly would like some apples, carrots, and blueberries as a gift. Just cut it to small and edible pieces. It is preferable that you go all natural in your dog’s diet. Canned food may include some undesirable and unhealthy additives, which may put at risk your dog’s safety. With totally natural, healthy, and nutritious diet, your Pomeranian Husky would grow more energetic, with healthier fur, stronger teeth, and longer lifespan. In addition to that, you should mind the amount of food you provide your dog with. Indeed, it ought to be reasonably balanced. That is to say; you should neither underfeed your dog nor underfeed him. Either way would result in serious health issues that may be incurable. 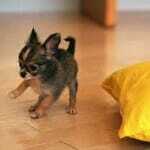 It all depends upon how active is your puppy, his weight, and his age. An additional noteworthy reminder is that in case you decide to opt for new food for your dog, you should be knowledgeable of the calories amount the old food contained and make sure to maintain it. For the time being, there are solely two main Pomeranian Husky dog clubs. The first club is the Pomsky Club of America or PCOPA, and the second is the International Pumsky Association or IPA. These are the only currently existing clubs that are completely devoted to Pomeranian Husky dogs. Ethics code, information, registration offer, tracking and breeder education of the dog are all wholly covered by these clubs. The number of such clubs would undoubtedly increase as soon as the dog’s popularity increase, too. Unfortunately, the Pomeranian Husky dog hasn’t been yet registered nor acknowledged by the American Kennel Club or AKC. Now that you have been informed about all that you need to know about the Pomeranian Husky dog, you can bring yours! No matter what type of dog he is, he unquestionably needs your love, care, affection, and attention. How Much Does a Pomsky Pup Cost? A Pomsky is not necessarily as small as a Pomeranian, although, it never attains the full size of a Husky. Depending upon its genetic structure, a fully grown Pomsky can weight around 5 to 20 Pounds, making it a small-to-medium sized dog. This new breed is high on demand, especially with the aristocracy, which in turn has pushed up its price by a considerable margin. A Pomsky puppy can be yours for just $750 to $1,200. However, they are quite rare and not readily available at the pet store or shelter. However, you are sure to find a lot of other adorable animals here that deserve equal love and affection. You could pre-order a puppy – it’s like reserving a puppy that is yet to be born – although, it involves gambling. You can never be sure whether the puppy you have reserved will turn out to be healthy and will live. Furthermore, you cannot pre-determine its genetics. A Pomsky will remain cute all its life, no matter which parent it resembles, although, its temperament cannot be foreseen. A quick analysis of the parents can however solve this problem. The Pomeranian is a very agile and active little fellow whose foremost attributes include intelligence and willpower. A Pomeranian however suffers from the “Small Dog Syndrome,” a situation when the dog considers himself to be a human pack leader. Hence, you need to be strict while raising a puppy. Pomeranian need daily exercise. Hence, the ones which embark on regular walks and additional physical-workout sessions have a friendlier attitude. Pomeranian are not the best companion for children, although, they are great with old people. A Siberian-Husky is used as a sledge-dog because of its strong-willed nature. It can withstand rough terrains and long hours of physical toil, easier than most other breeds even in harsh climatic conditions. Huskies need to be kept engaged as they can turn mischievous when bored or have nothing to do. Pet huskies need quite a lot of physical exercise. 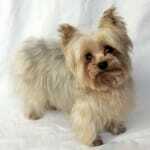 They gel well with humans and other dog breeds, although, you need to help them socialize from a young age. A husky will be your loving, affectionate and loyal companion all its life! While the Siberian-Husky is known for being quiet, the Pomeranian is quite the barker! Hence, a mixed breed between these two should technically do a little of both. The Pomsky needs physical training, although, regular exercise is not required. The Pomsky does not have any “bad traits” and its behavior rests solely on how you have raised it. Basic training is very essential, as your dog should at least respond to commands such as sit, stay, heel and come. The Pomeranian Poodle hybrid or the ‘Pomapoo’ is a renowned breed around the globe. 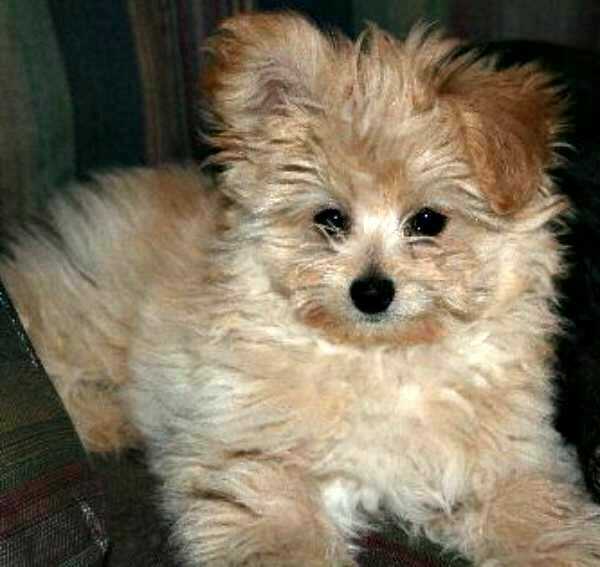 The cross-bred puppies are amongst the costliest there are, even though they are not considered ‘purebred.’ The Pomapoo shares its characteristic features with both parents, although, one breed overshadows the other. The Pomapoo can sport numerous different physical characteristics depending upon its parents and grandparents. Size, fur texture and color, etc. are dependent entirely on its heritage. In order to understand the generic physical attributes of a Pomapoo, we will need to study the Poodle and Pomeranian individually. The Pomeranian weighs approximately three to six pounds and can grow up to be around a foot tall. Poodles on the other hand measure between 11 to 24 inches. The Pomeranian Husky is hence one of the best lap-dogs. The Pomapoo features three distinct hair-styles, namely short & curly, long & fuzzy or a mix between the two. Pomeranian usually require a specific amount of physical-workout each day, while the Poodle is energetic is nature. Hence, poodles need a properly fenced space to expend energy each day. Both these breeds need to be taken out for daily walks or indoor playing sessions while growing up or they might develop discrepancies. Larger Pomeranian poodle mix dogs will require a fair amount of exercise each day. The poodle breed is naturally energetic and smart, often requiring a moderate-sized fenced yard in order to properly expend its energy. Pomeranians, on the other hand, are very small and while they are certainly filled-to-the-brim with energy, their small size enables them to meet their exercise needs through indoor play time and walking/running through the house. A Pomapoo with a miniature poodle background could be expected to have relatively low exercise requirements in the sense that a short, brisk walk and a half-hour of play time each day would suffice. A Pomapoo with standard poodle lineage would require a long walk each day or one half-hour of unleashed run/play time in an open area. The Pomeranian Poodle Mix is a very clever dog, which gets its smartness quotient from the poodle (proclaimed as one of the smartest dog breeds in the world). The Pomeranian is unquestionably bright and intrusive. As is the case with all dog breeds, the personality traits are always hereditary. Pomeranians are famous for their independent persona. NOTE: If you ever leave a Pomeranian to its own accord, it will soon rule the settlement, and display an aggressive-bully-types personality towards other animals in its territory. It is very important to socialize the Pomapoo during its puppy stage to make it interact with as many people and animals as possible – otherwise the dog is bound to become very self-centered and unruly. If a Pomeranian is well cared for, it will grow up to be very loving and always prefer to be amongst family members. They love to cuddle with their owners but they should be left alone from time to time so that they don’t get anxious it dire times of solitude. The Pomeranians are very demanding breed of dogs and they would not be suitable for people who live a very packed-up life. This trait can easily be pointed towards their poodle parent. They tend to get bored easily, which calls for continuous interaction in small intervals. NOTE: Poodle owners often find themselves making new and interesting tasks for their pets every day. Seeing the above traits, it’s clear that a Pomapoo can be any random combination of the above traits. Owners could find this mixed breed somewhat stubborn but very easy to train. These dogs grow up to be very watchful pets, and are always the first to sound the alarm when a stranger approaches. They also love being in the company of family members. NOTE: Pomeranians should not be left alone in the company of children who have a habit of petting these creatures too roughly or tugging at their ears or tail. Poodles and Pomeranians are quite impulsive to children and strangers. The grooming need of a Pomapoo can vary from a bare minimum to very intensive depending on its fur characteristics. Long-haired Pomapoo will need daily brushing to prevent knot formations in its fur. The fur may need to be trimmed by an expert in the summer months to prevent it from feeling very hot. Short-furred Pomapoo does not need much grooming as compared to the long-furred ones. Pomapoos with large and floppy ears need to be inspected regularly for any kind of redness, foul odor or other signs of infections. If the Pomapoo has an upright ear, then the chances of contracting infections is higher and it may need regular cleaning as well. When cleaning their ears, you should use a cotton ball soaked in warm water and gently rub it inside the ear to prevent dirt buildup. NOTE: Ensure that the water from the cotton balls does not enter the ear canal of your Pomapoo or it might cause irritation. 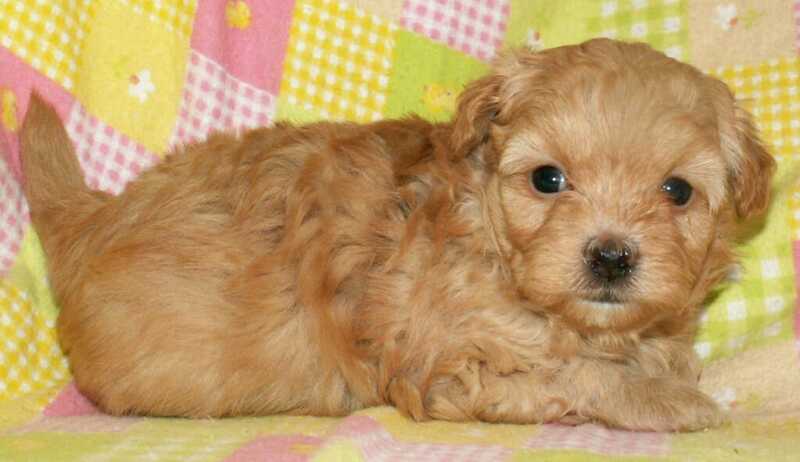 The best lifestyle for any Pomeranian poodle mix is one with lots of action and playtime. The best owners always take extensive time out for their pets by playing with them, taking them out on walks or grooming them. Pomapoos are affection hungry pets, but strictness needs to be maintained at times so as to prevent them from becoming unruly. Potential Pomapoo owners should be able to have disciplinary traits and be able to play with their pets from time to time. NOTE: Petting a Pomapoo can be one of the best gifts, but you have to be its reliable and responsible caretaker. In return for your affection, the Pomapoo will turn out to be the cleverest, enjoyable and most entertaining pet you can ever get. 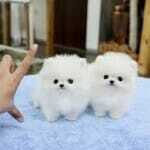 Looking for Teacup Pomeranian for Sale? Read this before buying! Use the map below to find the nearest place where you can purchase a Pomsky near you.